destruction of hazardous pharmaceutical and chemotherapy waste. With safety at the forefront of its solutions, more healthcare facilities are choosing Daniels for customer-focused and cost-effective RCRA and Hazardous Waste Management services. RCRA waste requires specialized containment to comply with the very stringent disposal requirements surrounding hazardous classified waste streams. Daniels has developed an affordable and intelligent system, so your facility utilizes the correct quantity, size and type of waste containers required for your facility. We want to make understanding RCRA waste simple. Daniels will provide expert advice on the most effective collection and transport options to ensure cost minimization and realize the economic and environmental benefits of lowering the volume and mass of RCRA waste collection. In the collection and hazardous waste disposal process, we work directly with our customers to review, analyze and streamline their waste contents to ensure compliance. All pharmaceuticals are classified into waste streams using our online waste characterization software. We take the guesswork out of RCRA Hazardous Waste segregation, transport and treatment. With over 30 years of experience in healthcare, Daniels has the solutions, licensing and compliance expertise to protect the safety risk exposure and regulatory responsibilities of healthcare facilities in the total management of RCRA and hazardous waste. You no longer have to ask yourself, “Where is hazardous waste disposal near me?” We service nationally! All Daniels products and solutions are designed to minimize infection transfer risk, ensure user safety, and maximize handling and movement efficiencies. Daniels hazardous pharmaceutical and chemotherapy [RCRA] waste services provide a single point of contact and less paperwork. Correct segregation ensures correct disposal and prevents hazardous waste entering our rivers and waterways. Web-based ‘Waste-ID’ database for easy identification of pharmaceuticals and their required disposal method. As guardians of your cradle-to-grave waste responsibility Daniels Health takes every precautionary step to ensure our customers are protected. In a day and age where pharmaceutical abuse prevention and expired medicine tracking is more critical than ever, Daniels is fully invested in security systems that safeguard your waste journey. With containers that eliminate tampering, theft and misappropriation of discarded pharmaceuticals, and transport and CCTV processes that ensure visibility from cradle to grave, Daniels provides full security of your pharmaceutical waste management. This powerful characterization and analysis platform is a revolutionary way of identifying the correct handling, transportation and disposal for all hazardous drugs. With the ability to create an inventory database that gets re-evaluated with all regulatory classification changes and an inbuilt report generator and shipping request e-mail module, our simple-to-use portal ensures your facility is always compliant and has completely traceability of all waste generated and shipped. Made with over 15,000 parts, Daniels mechanical Washsmart technology robotically empties and feeds each Daniels Sharpsmart container through a sophisticated 6 stage washing process. Using a tested combination of water pressure, high temperatures and biodegradable detergent to achieve high-level disinfection, Daniels’ robotic technology is ground-breaking in its engineering and results. Don’t just listen to us, listen to our customers! Countless stories of organizational change – cost and waste reduction, labor reduction, CO2 emissions reductions, improved safety. Do you want to know firsthand how other US healthcare facilities increased the performance of their healthcare waste management with Daniels? Read their journeys in our case studies library. 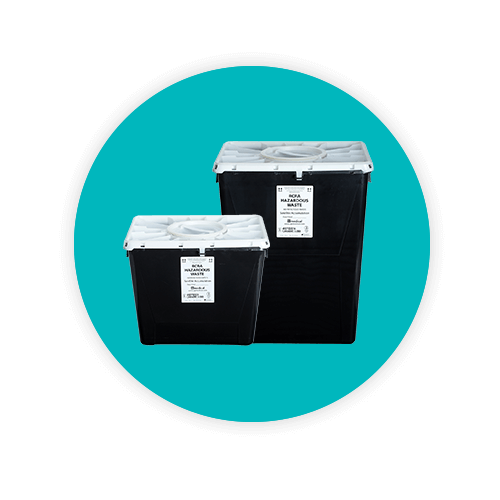 Disposable container for hazardous waste, with duo / port lid. Round, disposable container for hazardous waste. Mobile cart for 8, 12 and 18 gallon hazardous waste containers, to enable easy movement around the facility. 8.5Gallon Pharmaceutical waste container for the containment of pharmaceuticals and sharps in secure areas. 16.9 Gallon Chemotherapy container designed for trace chemotherapy waste; ideally suited to infusion bays. 5.8Gallon pharmaceutical waste container with safety tray; ideal for pharmacies, drug draw-up/medication rooms, and wards. Constructed of lightweight materials, this mobile cart has long-lasting durability and is easily cleaned. Designed for ease of use, the Accesssmart with foot pedal operation enables hands-free disposal with all Daniels 64 Series containers. With a unique key lock, the Sharpsmart collector can be securely mounted and locked to the bracket. Manufactured with stainless steel pins and a chrome plated mild steel lock, providing a versatile mounting option. This safe operating procedure instructs users on the use of the P64 Pharmasmart collector. A segregation poster for safe disposal of soft and sharp trace chemotherapy waste. This resource delves into why the Daniels Chemosmart is the most sustainable solution for chemotherapy waste management in the United States. Daniels Health and Rollins Brook Community Hospital have a good working relationship. For Sharps, RMW waste and pharmaceutical solutions, both Daniels and the hospital are ECO friendly and work well together. Daniels and Paul Oliver have a good working relationship. We really like the Sharpsmart for their safety and durability as well as the process Daniels uses makes sure the containers are clean and smelling good when returned back to the hospital. Both Daniels and the hospital are ECO friendly so the match is good between us. I would definitely recommend Daniels. Staff do not receive adequate training in the latest RCRA requirements and does not utilise latest online learning options. Face large fines and penalties for being found non-compliant with RCRA waste requirements. Processes and systems for managing medical waste are sub-optimal and lead to excessive collection and disposal of medical waste. Health facilities may have outdated processes and systems for managing medical waste that lead to more waste collected than required. Solutions may be used that may meet RCRA requirements, however are outdated and add unnecessarily to a health facilities operating costs. Current approach to meeting RCRA requirements has added to red tape and operating costs that are ever increasing. Health facilities receive “surprise” invoices from waste providers, where costs are not upfront and transparent. Operating costs keep escalating, where current RCRA waste management services received adding to cost pressures. World-class clinically designed reusable containment systems optimized for safety, sustainability and efficiency. Proven cost-reduction initiatives | 30% reduction in operating costs, 65% decrease in labor. 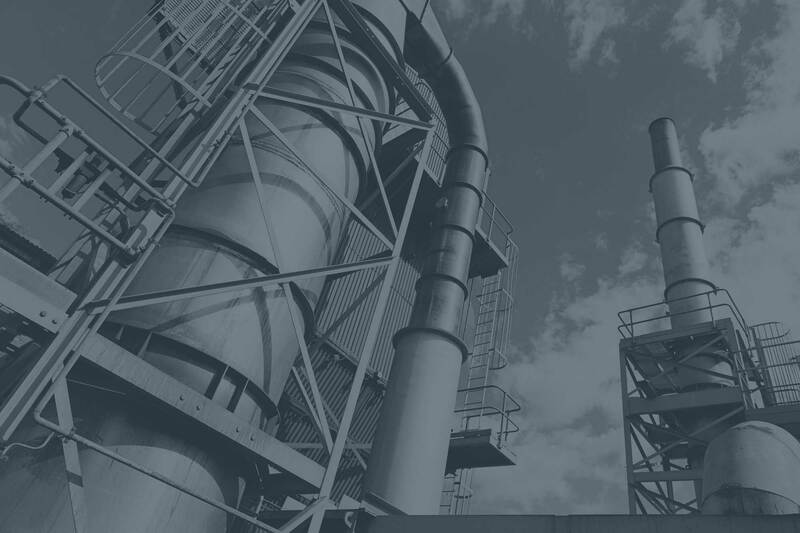 Reduce red-tape and be compliant with RCRA requirement without adversely impacting on overall operating costs. Clearly segregated solutions for trace and bulk chemotherapy, compliant labelling and expert training to facilitate correct disposal. Safety and Infection Minimization is achieved through clinical products, washing and sterilization and expert advice in placement and training. How many Safety Data Sheets can I access through the Daniels Compliance portal? The SDS/ MSDS database contains over one million safety data sheets, these are updated weekly. Data sheets can be housed online, printed as hard copy for binder/location use, or downloaded for offline access. How does Daniels take a "green approach" in its operations and facilities? Daniels use route optimization software to reduce delivery vehicles’ fuel consumption. In the manufacturing of our medicate waste and sharps disposal containers, we favor production companies that have GHG reduction policies and recycle broken/unusable parts from all our factories. At all of our operational facilities and offices, we implement energy reduction strategies, and continuously redesign new machinery and products to reduce energy, water and product consumption. Hazardous v Non Hazardous Pharmaceutical Waste – How to dispose? Pharmaceutical waste that falls under the Resource Conservation and Recovery Act (RCRA) of 1976, as amended (42 USCA Sec. 6901 et seq.) should be disposed of into a hazardous waste container.